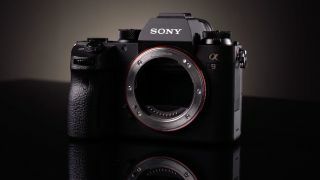 It’s almost two years since the launch of the Sony A9, and these updates will supercharge the AF performance and add new functionality to Sony’s flagship full-frame mirrorless camera for pro sports and action photography. These free firmware updates represent substantial improvements to the camera’s capabilities and they’re all the more remarkable for arriving as software updates rather than hardware changes. Modern digital camera firmware is more than an image processing system, it represents the camera’s entire operating system. The enhancements appear to include many of the new autofocus features revealed with the launch of the Sony A6400 and should also improve image quality and workflow for pro photographers. The Sony A7R III and A7 III are due to get a firmware update in April 2019 too. The Version 5.0 firmware will add Sony’s new ‘Real-time Tracking’ system for object tracking, which uses Sony’s latest Artificial Intelligence algorithms for object recognition and for processing colour, subject distance and pattern as ‘spatial’ information. The AI algorithms will recognise faces in both stills and video and and track the subject’s eyes in real time. A ’Tracking On’ function will initiate Real-time Tracking via a custom-assigned button or a ‘Touch Tracking’ mode activated via the touchscreen. Sony’s new ‘Real-time Eye AF’ will get improved accuracy, speed and tracking performance which will seamlessly track eyes at all times when in AF-C mode. You’ll even be able to choose the preferred eye (left or right) for tracking. The A9's autofocus system gets a major overhaul. As well as the Eye-AF improvements, the number of contrast AF points increases from 25 to 425. Other focusing enhancements will include Touch Pad and Touch Tracking features, phase detection sensitivity increased from f/11 to f/16 and Fast Hybrid AF with smooth automated focusing for movies. Sony says the image quality will be enhanced with improved colour reproduction, better rendering of subtle changes in light and smoother gradations. A new white balance algorithm should produce more consistent white balance in burst mode. Finally the A9 will now be compatible with Sony’s new ‘Imaging Edge Mobile’ application for automatic image transfer, tagging and IPTC metadata support. This will be a much more low key affair than the Version 5.0 update and will add Eye AF for animal eyes. If you’re thinking of pet puppies bouncing across a lawn this might seem a rather frivolous addition for a professional camera, but actually this new feature is aimed at wildlife photographers, for whom animal eye AF could be an extremely useful feature for tracking fast-moving subjects. With this update the A9 will also get interval timing settings for creating time-lapse movies. This perhaps qualifies as one of those features that you might have thought would have been in the camera from the start. The Sony A7R III and A7 III are also due a firmware update in April 2019. Not to be left out, the A7R III and A7 III will also get the new enhanced Real-time AF performance boost, available in continuous AF (AF-C) mode by half-pressing the shutter button. They too will get Real-Time Eye AF for animals and interval recording for time-lapse movies (ahead of the A9, interestingly).